In the world of TV critics, it's become a cliche to write that a certain episode has "moved the pieces into place" for whatever major event(s) will supposedly follow. Still, that doesn't make the saying any less true. A stage must be fully set - characters developed, backgrounds established, motives explained - before the action can truly commence and, along those lines, the first season of Game of Thrones was essentially a 10-episode stage-setting. There were plenty of storylines, and a whole lot of blood shed, but it really all built to that epic, stunning execution that concluded "Baelor." And as Ned Stark's head was chopped off, so the series takes off in season two. Having viewed the first four episodes, I can verify that the pieces are all in place and the game is truly on. Robb Stark is coming from the north. Mance Rayder is coming from beyond The Wall. Stannis Baratheon is building an army with the help of spiritual advisor Mellisandre and loyal ex-smuggler Davos Seaworth. Balon Greyjoy is forcing his son to choose between loyalties. Renly Baratheon has secured the allegiance of Highgarden and the southern lords in his quest to take what he believes to be his. Yes, there are a slew of new names and characters. It will be confusing at first for viewers unfamiliar with George R. R. Martin's books. But each is eventually woven in well to the overriding theme: the battle for that iron throne. Who will take what steps in order to claim it? Moreover, the opening episode mostly focuses on players established last season. 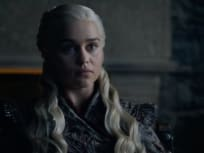 Cersei is finally realizing the depths of the monster she created in her son; Daenerys, her dragons and her flock are lost amidst a desolate desert; Jon Snow is venturing into dangerous (supernatural?) territory, meeting a creepy man who marries his daughters along the way. Robb is gaining confidence as the newly-crowned King of the North; Arya is making a new friend as an outcast far beyond King's Landing; and Tyrion Lannister is right in the center of the royal action. The breakout star from season one, both on the show and in real life, Emmy winner Peter Dinklage is the antithesis to Sean Bean's Hand of the King. He's snarky, he has an in with the Queen Regent and, as he tells Varys, he understands how the game is played. Honor does not come first to Tyrion, yet he remains a heroic character. His mission is to control the wayward boy King and thwart an impending revolution, all while continuing to drink more wine than a man twice his size could conceivably handle. Tyrion tries to choose his battles in order to accomplish this task, taking a major step in episode two when confronted with the actions of the City Watch Commander. 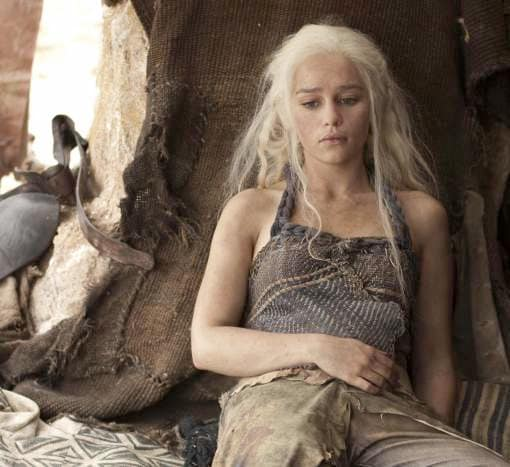 Yes, there's a lot going on in every corner of Westeros. And it's all staged beautifully, as the action moves from one impressive locale to another. The commanding visuals help this sweeping saga come to life, as do the performances of the ever-growing cast and the writing of David Benioff and D.B. Weiss. It all blends together to create a complicated world, one full of moral dilemmas between family members, friends and temporary alliances. How do you decide what's best for yourself? Your loved ones? The kingdom? Where do you draw a line? How do you draw a line? We all remember what happened to Ned Stark when he tried to do so, don't we? NOTE: Visit TV Fanatic immediately after the season two premiere concludes for my detailed review of "The North Remembers." We will also be running TWO weekly reviews on Sunday nights: one written by yours truly, from the point of view of someone who has not read the books; and one by Carissa Pavlica, comparing how each episode stacks up with the beloved novels on which they're based. We hope you join us each week for these trips into the seven kingdoms.